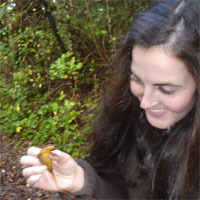 Janet Gorman, Ph.D. Student. Janet graduated with honors from the University of New Hampshire with a B.S. in Environmental Studies and Forestry. Her professional background has been shaped by seasonal work with both the US Forest Service and US Fish and Wildlife Service, in addition to working locally with native plant nurseries. 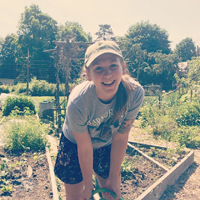 After her undergraduate work, she completed two terms with AmeriCorps at wildlife refuges in South Carolina and Maine. This work focused on environmental education, restoration, and community engagement for local conservation issues. 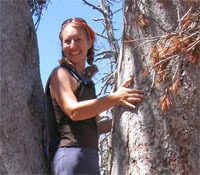 The connection between humans and forests was of particular interest to Janet, and motivated her to earn a M.S. in Forest Resources from the University of Maine. Her research in New England focused on the human dimensions of invasive forest insects, such as the emerald ash borer, and collaborative early detection potential that can be used in the future to address invasive species. 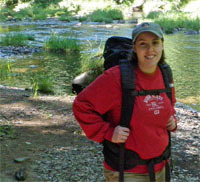 A continuing interest in research and teaching led her to pursue a Ph.D. in the Department of Forest Ecosystems and Society at OSU. Her research in Oregon focuses on public attitudes and tradeoffs associated with herbicide application on private forests, and how science communication can inform these attitudes. Janet’s interests outside of the office include cycling, hiking, reading, and adventuring with friends. Joshua Petit, Ph.D. Candidate Josh earned his B.A. at Xavier University and his Master of Natural Resources (M.N.R.) at Virginia Polytechnic Institute and State University where he examined the recovering long-spined sea urchin in tropical Panama. He has studied abroad and conducted research in Asia, Australia, Africa, South and Central America, and Mexico. While living in Portland, Josh was a research and development intern at the Oregon Museum of Science and Industry where he worked on an exhibit focusing on sustainability. He also worked with the Oregon Parks and Recreation Department as a recreation planning technician. Josh is currently working on his Ph.D. in the Department of Forest Ecosystems and Society at OSU where his professional research interests include conservation ecology, human dimensions of natural resources, outdoor recreation and tourism, and science communication. His Ph.D. research focuses on public acceptance of using biotechnologies to address forest health threats such as chestnut blight and climate change. In his free time, Josh enjoys climbing, competitive disc golf, skiing, cooking, scuba diving, and playing his Martin guitar. Andréa Kuchy, Ph.D. Candidate. Andréa earned a M.S. from the University of Idaho where she examined large wildfires in the western U.S. She also holds a PGDipSci from the University of Witwatersrand in South Africa where she researched large mammal behavior, and a B.A. from Florida International University where she participated in climate change research in arctic Alaska for four seasons. Andréa is working on her Ph.D. in the Department of Forest Ecosystems and Society at OSU where her professional research interests include the human dimensions of wildlife trade and rhinoceros poaching in Africa. Outside of academia, Andréa has been a dedicated firefighter and EMT-I in rural fire and rescue. Jenna Deibel, B.S. Hons Student. Jenna is pursuing her B.S. Honors in Tourism, Recreation, and Adventure Leadership (TRAL) with an option in Outdoor Recreation Management, as well as a minor in Natural Resources. 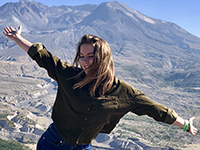 Although only in the beginning stages of her undergraduate honors thesis, she is researching constraints that prevent women from soloing (visiting alone) in wilderness. In her short time at Oregon State so far, Jenna has assisted in research on a joint-grant between OSU and the Forest Service on human impacts in wilderness areas around Mt. Hood, has been hired as a lab technician for a professor in the Department of Forest Ecosystems and Society in the College of Forestry, and represents her college as one of its ambassadors. Prior to coming to OSU, Jenna volunteered at WildCare, a wildlife rehabilitation center in her hometown, for over six years in almost every facet of the organization. In high school, Jenna joined a Student Conservation Association national crew off the coast of Southern Georgia doing wilderness and historical site restoration with the National Park Service. Jenna enjoys hiking, observational learning in nature, playing bass guitar, and reading John Muir’s journals. Jaclyn Rushing, M.S.. Jaclyn graduated with honors from the University of Oregon with a B.A. in Environmental Studies and Romance Languages. Her professional background focuses around environmental history research and outdoor education and interpretation. 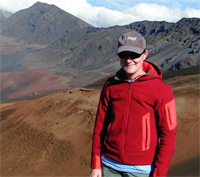 Her experiences range from au pairing in France, to researching environmental history of glaciers, to working in outdoor education and interpretation for the National Park Service, Oregon Parks and Recreation Department, Bend Park and Recreation District, and the University of Oregon’s Environmental Leadership Program. Her love of connecting people to place through interpretation led her to complete an M.S. in the Forest Ecosystems and Society Department at OSU. Her professional and research interests include outdoor recreation and tourism, public outreach and outdoor education, collaborative management, multi-use, and science communication. Jaclyn’s thesis research focused on constraints and place attachment associated with Portland Metro Parks, especially among traditionally underserved communities. Outside of school and work, Jaclyn enjoys running, skiing, hiking, and backpacking. Jacyln is now working on her Ph.D. at North Carolina State University. Jennifer Johnston, M.S. Jennifer earned her B.S. in Environmental Science from the University of Michigan, and spent the following years working for various federal land management agencies, including the National Park Service. These experiences included, among other positions, monitoring harvests aboard commercial fishing vessels in the Bering Sea and working as a wilderness ranger in Alaska. Her professional interests in protected area management, natural resource conflict resolution, and stakeholder involvement inspired Jennifer to complete an M.S. in the Department of Forest Ecosystems and Society at OSU. Her research focused on resident perceptions of the concept of marine wilderness and how this is associated with the new marine reserve system in Oregon. 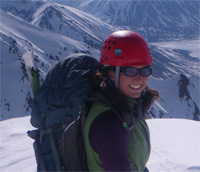 Outside of academia, Jennifer enjoys backpacking, cooking, packrafting, and attempting to ski. Jennifer is currently working for the National Park Service in Denali National Park and Preserve, Alaska. Elizabeth (Bess) Perry, M.S. Bess received her B.S. in Natural Resources Ecology and Conservation Biology from the University of Idaho, and M.S. in the Department of Forest Ecosystems and Society at OSU where her research focused on public knowledge and attitudes regarding the newly created marine reserve system in Oregon. Her broad professional interests include conservation biology, science communications, and human dimensions of protected area management. Her experiences include working with Connecticut State Parks enhancing connections between urban families and their parks, and with the National Park Service in the Klamath Inventory and Monitoring Program developing and implementing long term monitoring plans. 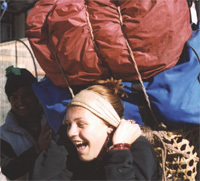 Outside of school and work, Bess is usually found running, cycling, or backpacking somewhere spectacular; improving her Nepali; creating henna designs; or doing something else equally artsy. Bess recently finished her PhD at the University of Vermont and is now working on a Post-Doc at Clemson University. Wesley Mouw, M.S. Wes earned his B.S. in Environmental Psychology from California State University – San Marcos where he focused on human connectedness to nature. 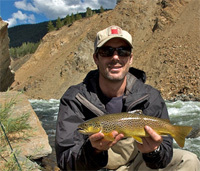 As a post-baccalaureate student at OSU, Wes spent two years taking courses in Natural Resources and Recreation Resource Management before completing his M.S. in the Department of Forest Ecosystems and Society. His graduate research focused on how recreationists could experience sanctions and modify their attitudes and behaviors in response to crowding in state parks along the Oregon coast. In his spare time, Wes likes to run, bike, and hike. He also enjoys spending time with his wife and daughter. Wes is currently working as a senior research analyst for the State of Oregon. Lisa Prendergast Swanger, M.S. Lisa earned her B.A in Sociology with a minor in Biology from Kutztown University of Pennsylvania. She completed her M.S. 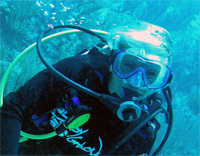 in Marine Resource Management at OSU where her research focused on developing a strategic conservation project for the Oregon Coast Aquarium that incorporated an ecotourism component and environmental education standards of the Association of Zoos and Aquariums (AZA). Lisa has worked for several related organizations including the Adventure Aquarium in New Jersey, the Conserve Wildlife Foundation, and the New Jersey Division of Fish and Wildlife. She was also Oregon’s Regional Coordinator for the National Ocean Sciences Bowl under the Consortium for Ocean Leadership. In her free time, Lisa enjoys camping, horseback riding, and relaxing with a nice cup of tea. Lisa is currently working as Watershed Education Program Coordinator at Coastal Carolina University. Emily Pomeranz, M.S. Emily received her B.S. in Recreation Resource Management from the University of Wisconsin-Madison. She then earned her M.S. in the Department of Forest Ecosystems and Society at OSU where her thesis research explored the attitudes and perceptions of commercial guides and outfitters, government agency personnel, and local residents toward voluntary collaborative codes of conduct and standards for tourism management in the Tracy Arm-Fords Terror Wilderness in southeast Alaska. 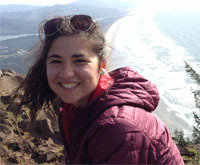 In her free time, Emily enjoys hiking, camping, flying kites, and exploring the Pacific Northwest. Emily recently finished her PhD at Cornell University and is now working for the State of Michigan Department of Natural Resources. Kathryn Hawes, M.S. Kathryn received her B.S. in Forest Ecosystem Management from Iowa State University. She then completed the Sustainable Natural Resource Graduate Program at OSU where her research focused on unmanaged trail use and visitor education in the Siuslaw National Forest. 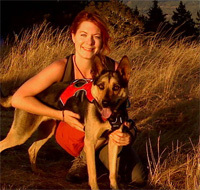 In her free time, Kathryn enjoys hiking and kayaking on the Oregon coast. Kathryn worked for more than 10 years at the Hatfield Marine Science Center and is now working at the Kaleidoscope Discovery Center in Missouri. Robyn Ceurvorst, Ph.D. Robyn earned a B.A. in Leisure, Youth, and Human Services, a certificate in Outdoor Recreation, and a minor in Business Administration from the University of Northern Iowa. She then received her M.S. in Human Dimensions of Natural Resources from Colorado State University. After that, she earned a Ph.D. in the Department of Forest Ecosystems and Society at OSU where she focused on applications of the concept of norms to social and facility indicators of coastal recreation and tourism in Hawaii. During her free time, Robyn enjoys whitewater rafting, hiking, mountain biking, and rock climbing. 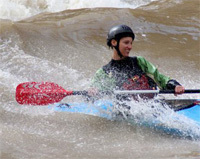 She has also worked in many locations across the country (e.g., Colorado, Utah, Arizona) and internationally (e.g., Morocco) as an adventure guide and trip leader focusing primarily on river based activities. Robyn is currently an Assistant Professor at Minnesota State University. Kerry Grimm, Ph.D. Kerry received her BA from Binghamton University in New York, majoring in both Environmental Studies: Ecosystems and Creative Writing, and her M.A. in Literature and Environment from the University of Nevada, Reno. She completed her Ph.D. in Environmental Sciences at OSU where her research interests focused on human-environment interactions, conservation, sustainable development, volunteer ecotourism, and resource use in rural South America (Ecuador). Working within a political ecology framework, she was especially interested in discourse and its material ramifications at different scales among multiple participants. In her spare time, Kerry can be found enjoying almost any activity outdoors, cooking elaborate meals, and spending time with her family. Currently, Kerry is a Senior Lecturer at Northern Arizona University. Christopher Little, M.S. Chris earned a B.A. in Environmental Science and Anthropology from Saint Lawrence University in New York. Following this, he moved to California where he worked on several projects including forest management in Lake Tahoe and bald eagle restoration on the Northern Channel Islands. 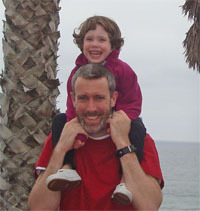 Seven years in California exposed Chris to collaborative partnerships with the National Park Service, California State Parks, the US Forest Service, The Nature Conservancy, private businesses, the University of California, and the Institute for Wildlife Studies. With a passion for recreation and conservation, Chris then completed a M.S. in the Department of Forest Ecosystems and Society at OSU focusing on the impacts of voluntary environmental programs on recreationist behavior at an alpine ski area (Mt. Bachelor). 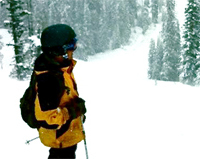 Chris enjoys spending time with his family, skiing, fly fishing, rock climbing, hiking, and photography with the passion that “You can discover more about a person in an hour of play than in a year of conversation” (Plato). Chris was a senior representative for The Nature Conservancy and is now working for The Conservation Fund in Alaska. Caitlin Bell, M.S. Caitlin earned a B.S. in Natural Resources from Cornell University in New York and then spent a year teaching marine science at the University of Georgia’s Marine Extension Center and Aquarium in Savannah. Caitlin then earned a M.S. in the Department of Forest Ecosystems and Society at OSU with both a minor and certificate in Marine Resource Management. Her M.S. research focused on crowding, encounters, norms, and management at Molokini Marine Life Conservation District in Hawaii. During her free time, she enjoys hiking, cycling, traveling, and camping. Caitlin currently works at the consulting firm Ecology and Environment, Inc. in San Francisco, California. Sera Janson Zegre, M.S. Sera received a B.S. in Environmental Studies (Natural Resource Management) from The George Washington University in Washington, D.C. She then earned a M.S. in the Department of Forest Ecosystems and Society at OSU where her research focused on impacts of commercial guides and outfitters on public land in the Juneau, Alaska area. After graduation, Sera was a project manager for the FOCUS West Virginia Brownfields Program, and both a project manager and social scientist with Downstream Strategies, an environmental consulting firm in West Virginia. Sera is a self-proclaimed desert and river rat (often by whitewater kayak), and a transplanted westerner from Colorado who now calls Appalachia home. Sera is currently a lecturer and research coordinator at West Virginia University. Emily Pickering, B.S. Hons. Emily completed her Honors B.S. degree in Biology with a Marine option at OSU. During her field research, she worked for the National Oceanic and Atmospheric Administration (NOAA) at the Pacific Islands Regional Office in Hawaii as part of a NOAA internship and the Ernest F. Hollings scholarship program. 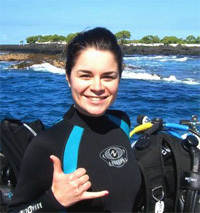 Her research involved synthesizing the social and economic literature on fisheries in the Pacific Islands region, and conducting a gap analysis and interviews with fisheries managers, scientists, and anglers about the importance of social and economic information in fisheries management in this region. After graduating, Emily worked for The Nature Conservancy in the Lake Tahoe area (California) and then for the University of North Carolina. Outside of academia, Emily enjoys scuba diving, horseback riding, dancing, snowboarding, and photography. Emily is currently working with National Geographic Lindblad Expeditions.